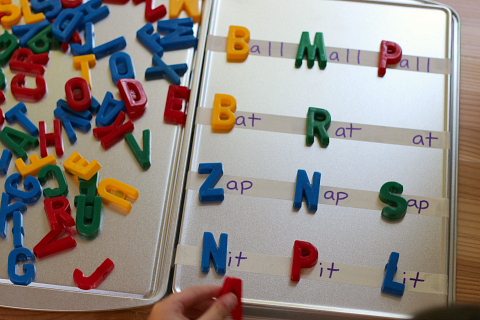 As children get a firm grasp on letter sounds they will be able to manipulate those sounds to create new ones. 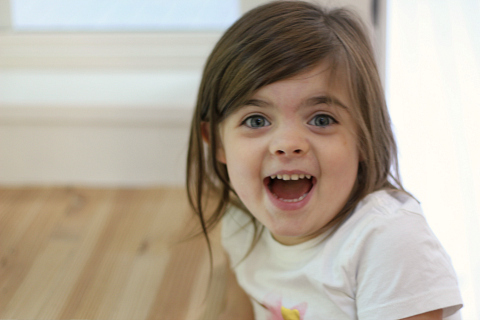 My daughter has been playing with letter sounds for a while ( I think she is desperate to catch up to her big brother) and rhyming is one of her favorite things to do. All of her time rhyming has definitely helped her be able to isolate and substitute sounds and I wondered if she was ready for some word families. She was. I chose the word families that we used in this activity ( all, ap, at, it ) because she can sound them out without help. 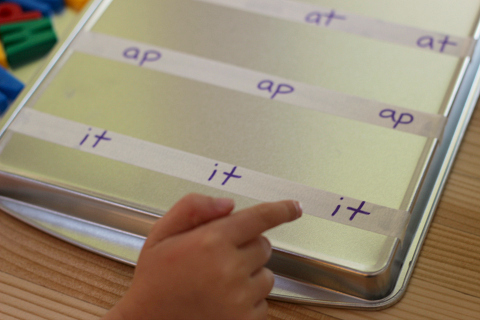 I wanted her to be able to build the words without me, because you are using masking tape you can easily switch up the word families as your child develops. Gather your materials. 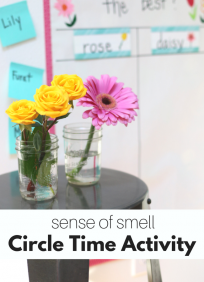 You will need some masking tape, some letter magnets ( try to find ones that are fully magnetic instead of having little magnets glued on the back to be safe) , a cookie sheet, and a marker. The older brother overseeing the activity is completely optional. 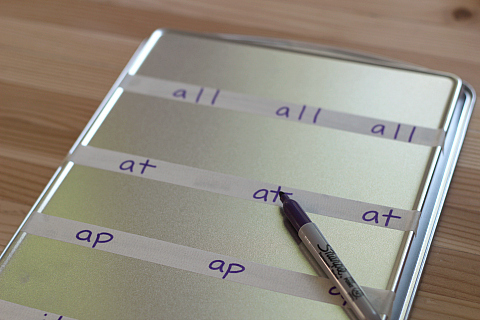 Add a few strips of masking tape on your cookie sheet.Write the word families you want to work on with your child. You can do a few or stick to just one. Here is a list of the 37 most common word families. 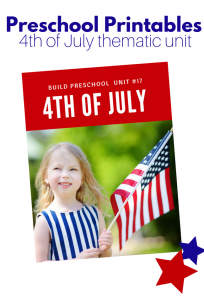 Take a few moments to have your child sound out the word families for you to make sure that this activity will be challenging but not impossible. 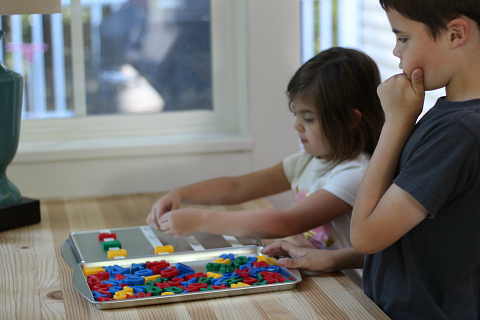 When we give children challenges they grow but if we give them impossible tasks we end up discouraging them and sending them the message that learning is too hard for them. 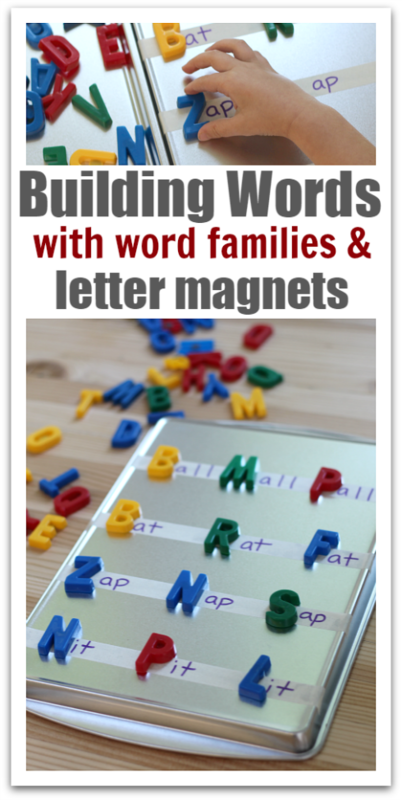 Add a bunch of letter magnets ( I had 3 packs available) and help your child do the first modeling sounding out the word family and then adding the first sound and sounding out the word again. Then let them at it. 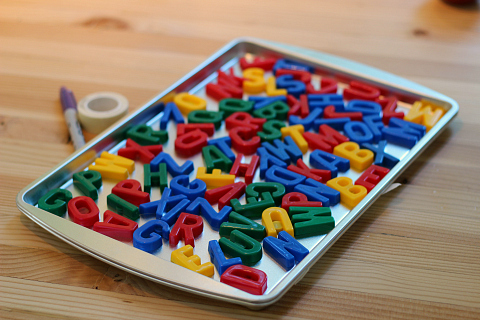 She started adding the magnets then sounding them out with her brother overseeing under strict instructions “To let her do it herself.” Sometimes she’d add one that didn’t make sense, he’d shake his head , and she’d just remove it and try with another letter. After a few letters he declared he wasn’t needed and left. I left words that she sounded out but might not know the definition of like pall. Even though should couldn’t tell me what a pall was she was sounding out the words correctly so I decided to leave it be. When kids are a little older I would ask is that a real word? Then ask them to look it up to find out. I am so happy I caught this picture. After she made a word it was so amazing to her she turned to me saying ” Mama I did it again!” as if the other times were just flukes. I LOVE moments like this when kids take ownership of their abilities. She KNEW she could do it at that moment and continued to build the rest of the words. We will do this again soon with a few of these word families and mix in one or two new ones. Remember kids love repetition, it feels good to know what to expect and it gives them a chance to master something. 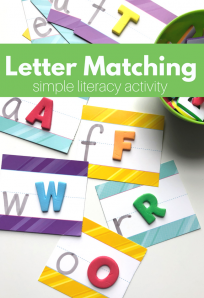 What a wonderful way to help with word building and a fun way to engage. Great practical idea! You should consider only using lower case letters to manipulate. 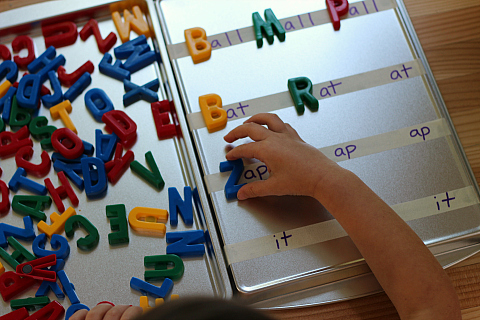 Your child will see the words as they most commonly appear in real life. Places like Lakeshore have lower case letters (magnetic) in case you can’t find them. I’m really looking forward in putting this idea in a literacy center.I’ve got 9 below basic second graders in my 1st/2nd split class. I need some engaging activities for these learners. Thanks for the idea. I hope it works well for them!